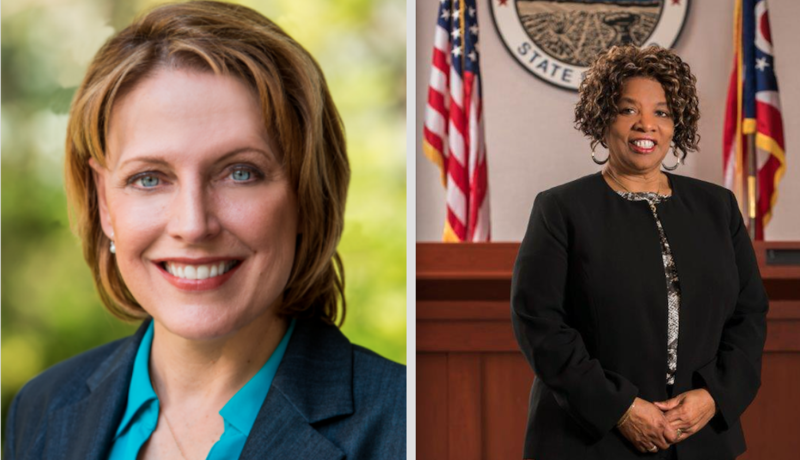 Connie Pillich and Springfield Township trustee Gwen McFarlin have been elected as the new co-chairs of the Hamilton County Democratic Party. They will replace Tim Burke, who is retiring after serving as the party head for nearly a quarter of a century. Over 200 members of the Hamilton County Central Committee met Saturday morning at a United Auto Workers hall in Evendale and held a standing vote for party chair. The only opponent to the co-chairs, former Judge Cheryl Grant, had only about 15 supporters stand with her. Each of the candidates was given four minutes to make their cases. Pillich and McFarlin split their four-minute pitches and made it clear that each would have a specialty as co-chairs – Pillich would be in charge of raising money, while McFarlin would concentrate on grassroots get-out-the-vote efforts. Pillich, who has run for the Ohio House and statewide offices, made the point that she has raised $6 million in her political campaigns. "Hamilton County is on the verge of an irreversible path,'' Pillich said. "It may be long, it may be bumpy, but there is going to be only one result – this county is going blue." McFarlin said that, in 1995, she became the first African-American candidate elected in Springfield Township. "The odds were against us, but we had the grassroots activity, we had the organization,'' McFarlin said. 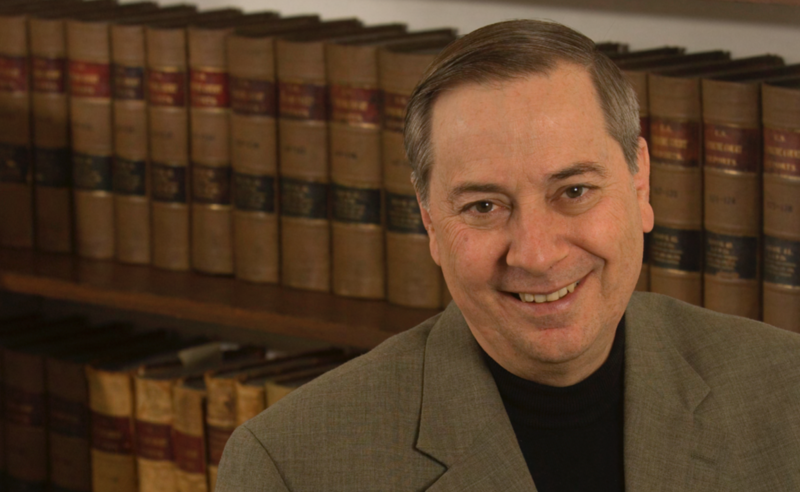 The meeting spelled the end of lawyer Tim Burke's 24 years as chairman of the Hamilton County Democratic Party – a party that, during his years at the helm, went from a struggling minority party unable to field full slates of candidates to a robust organization that has competed on a nearly equal basis with the county Republican party. For months, speculation had been that both Pillich and McFarlin were interested in following Burke into the party chair's job, along with Grant and others such as former congressman Steve Driehaus, who briefly considered running. But, in late May, Pillich and McFarlin stunned many in the party when they announced they were going to run as a team, to serve as co-chairs. The party has had co-chairs several times in the past, but Pillich and McFarlin are the first women to head the party. They are also the first co-chairs who live outside the city of Cincinnati – Pillich in Montgomery, McFarlin in Springfield Township. They bring impressive resumes to the table as the party's new co-chairs. Pillich is a former state representative who was re-elected after Republicans re-drew her district to make it more GOP-friendly. A lawyer and former U.S. Air Force officer, Pillich was a candidate in the Democratic primary for Ohio governor. She dropped out after former Ohio Attorney General Rich Cordray entered the race. Pillich endorsed Cordray and he won the May 8 primary. McFarlin is well-versed in suburban politics. She has been a Springfield Township trustee since 1995. "I have worked with Republicans on the board of trustees and I know how to get things done and still stick to my principles,'' McFarlin told WVXU. This will be the fourth time in recent decades that the Hamilton County Democratic Party has been headed by co-chairs. The late Don Driehaus teamed up with the late William L. Mallory in the early 1990s to head the party. Before that, in the 1970s, the party had lawyers Sid Weil and John "Socko" Wiethe heading the party for a time. And, most recently, Burke shared the chairmanship with former Cincinnati mayor Mark Mallory, who was then in the state legislature. Burke will continue to serve as a member of the board of elections until March 2019. Burke, who is 70 years old and will continue his private law practice, was given a standing ovation by the precinct executives after his farewell speech. "Together we have made change for the better,'' Burke said. "Democrats now hold more of the county executive offices than do the Republicans. We have won the county for the last three Democratic presidential candidates. "In party leadership and practice of law, I hope I have made a difference,'' said Burke, who has been involved in local Democratic politics since he was a undergraduate student at Xavier University.